Recently I’ve had opportunity to reflect on the fact that “one size does not fit all!” I’m encouraging churches and organisations to consider this when they talk strategy around outreach in their local context. I'd like to comment briefly on my observations over the past few years when talking with people on evangelism. So much has been discussed in this field in the past ten years, a quick browse through the online Christian bookstore is evident of that. One of the dangers at this time and at any time is to grab onto the 'latest' or the 'popular' thoughts in this area. I'm all for keeping sharp and informed on the current conversations in this area, however the danger can be to throw out everything else at the expense of the new. I'd encourage churches and organisations at this time to have robust discussions regard this very large field, to consider the context they find themselves in and to collaborate with those you are working with to find broader, varied solutions rather than one narrow solution. Food for thought. This is my story filmed quite a few years ago at CityLife Church in Melbourne, hope you enjoy it. Please share if you think it may help someone you know. It's a fact that many Christians become inward focused and lose the outward focus of their faith. People come to know Christ and over time they seem to care less about those that have not encountered God's love yet. That sounds a bit harsh but if you question people about their lifestyle and where they spend most of their time, money and efforts, it is lacking in regard to those outside the Christian community. How true is this for the Christians that you know and yourself? I guess it is easier to spend time with our Christian friends, to chat about Jesus and encourage each other in the faith. I enjoy it myself and it's not a bad thing. The problem comes when we become to comfortable hanging out with our Christian buddies and tell ourselves that we are called to build up others in Christ yet totally neglect those that do not know Christ. More staggering to me is that when we find ourselves surrounded by non-Christians, we do not maximize the opportunity to show love and grace as we have experienced ourselves. So many seem to have become inward focused. How can we see this change in our churches and in our individual lives this? 1. Plan strategic seminars to equip and enthuse your church. 2. Once a week (minimum) pray for 3-4 people in your life that have not experienced God's love. 3. Start a weekly 'testimony' email that goes out to your church of people who are being 'outward focused'. This will be good encouragement for others. 4. Get your staff taking an offline or online evangelism/outreach training course as part of their 'work time'.Check with your local Bible College to see what they have on offer. 5. Get dates in your diary now to have a meal with your friends that do not know Christ - things happened once they are planned. 6. Plan a series on evangelism for your church. Have all departments of the church plan their own series to coincide, ie kids ministry; women's ministry; young adults,etc. 7. Equip your church to reach out to their friends through technology: twitter, facebook, my space, blogs, websites, etc. Let's be honest...connecting with those that do not know Christ is an EFFORT! It will take a commitment of time, energy and often finance to reach out but that is why the church exists. There is no other organisation of people on earth that are commissioned to take the gospel to the ends of the earth! We are it! Come on people, lets move to becoming more outward focused in the months and years ahead. Well I thought I'd get back to blogging after a 2 year break. 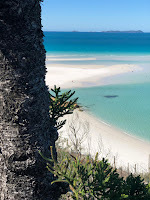 Where have I been and what have I been up to? For seven years I was slowly working away at my Doctorate. I finally graduated mid 2015 in Pasadena, California. My study was through Fuller Theological Seminary. I ended up iting my final paper on outreach, surprise surprise! The final two years of the doctoral program was pretty tough going, this was due to the fact that I was continuing to minister at my amazing church, do some lecturing here and there, help out in the family business and raise my young family. In hindsight, something should have given in the process, in fact I nearly did on several occasions. True to my track record, I just kept trucking on, or trying to truck on so to speak. It was not pretty at times but then again, you don't ever achieve something great without a huge effort of time and personal cost. We all make our decisions on what we give our time to and what we deem as important at the time. I handed the paper in early 2015 and was approved shortly after. The relief, the sheer joy and overwhelming sense of freedom was beyond memorable. I remember my family saying things like, "We have you back on Saturdays now mum" and "Boy, you are so relaxed now". It is true to say that I certainly did change once that final paper was submitted and eventually approved. Life post-doctorate is a unique experience. Being able to sit down on the weekends and during the week to watch a television program is quite strange.My husband felt like I'd taken over the television, something he had to himself for the past 7 years! Strange little things like that became apparent, I realized how tight my time had become and how exhausted I was. As I look back, I wonder how on earth I completed this huge task, and am reminded of a saying I heard many years ago, the only way to eat an elephant is one bite at a time! How true this is. When tackling big assignments, completing one small part at a time is the only way forward. So, the elephant has been eaten and it has taken me more than one year after the eating to start to feeling energized and motivated to sit at my computer again. So, I'm back and thought I'd start blogging again. I'll fill you in on more of my life in my next blog. 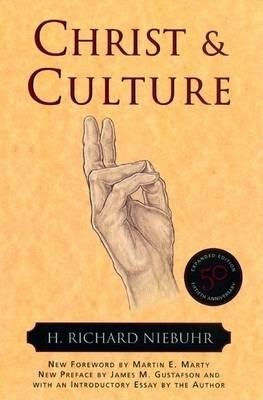 Christ and Culture by Richard Niebuhr is considered a timeless classic. The book addresses the relationship between Christianity and civilization and presents five ways in which the church has approached this relationship. The five approaches are: Christ Against Culture; The Christ of Culture; Christ Above Culture; Christ and Culture in Paradox and Christ the Transformer of Culture. Christ Against Culture affirms a complete separation between one’s loyalty to Christ and one’s loyalty to cultural society. Christians are encouraged to remain separate from culture and Christ is seen as one who opposes the customs of society and all achievements that humanity makes. This viewpoint sees people willing to abandon their homes, property and government protection for the sake of honouring Christ. In The Christ of Culture, affirmation is given to culture. Christ and culture is melded together. There is no great tension between church and the world and the work of Christ is seen as the training of men in their present social existence for the better life to come, often he is regarded as the great educator, sometimes as the great philosopher or reformer. Christ Above Culture recognises that culture is good and that Christ came to enhance culture. It presents a way in which Christ is sees as a part of culture and yet he is also outside of culture as one who sustains it. Christ and Culture in Paradox espouse that there is a tension between Christ and culture; Christians are to strive to be in the world but not of the world. There is recognition to be loyal to Christ and responsible for culture. The danger is that one in their loyalty to Christ would lose the ability to say something of worth to the culture. Christ the Transformer of Culture describes a hopeful conversion type view toward culture. Christ came to redeem culture and creation from a fallen state that was very good. Christians work with God to accomplish the transformation of culture. There is recognition that there is sin in culture, yet all is not lost because there is hope through Christ, for redemption of cultures. None of us has to be a theologian to appreciate the story of the Good Samaritan and no one, however degreed, has a claim on all it’s meaning. Stories like the Good Samaritan do not give us facts nor do they really give us proofs for anything. Instead they do what they are meant to do: provide us with images and ways of thinking about life’s imponderables with God as the reference point. Sharing Biblical stories allows people to see that God is the centre point and they are given access to understanding and perceiving God in ways that they may not have considered. Stories help people remember more clearly as they draw on the imagery; the right hand side of the brain is engaged and the story heard becomes embedded conceptually in the mind. In ancient times the Word of God was spoken long before it was read. Storytelling was the way of communicating the wonders of God. Richard Peace picks up on the power of telling stories when he encourages people to move beyond the shallow conversations about God to telling the stories of Jesus that reveal exactly who Christ is. Stories that reveal that he is fully divine yet fully human. The challenge however is to tell the stories in our own words and in ways that others can understand, in ways that relate to the situations that people find themselves in today. Some of the basic stories that reveal Jesus are the story of the prodigal son (Lk. 15:11-32), a story that reveals Jesus as one who gives people a second chance; the story of the Good Samaritan (Lk. 10:25-37), a story that reveals that Jesus is not interested in us just being religious but wants us to do good to others; and the story of the woman at the well (John 4:1-42), a story that reveals Christ as one who accepts all, loves all and forgives all. Telling these stories in our own words is the key to seeing others understand who Jesus really is. As an example we may paraphrase the story of the women at the well in the following way. “One day Jesus arrived around noon at a well in an area called Samaria. He was completely exhausted from walking so he sat down at the well ready for a drink. At the well was a woman who had slept around with many men; she was looked down on by her community. Jesus not bothered by her background or her culture sat down and chatted with her. His interest was to show love, respect and forgiveness to all people. She was shocked that he spoke with her and her life was dramatically changed by her encounter with Christ.” This simple story illustrates to others that Christ loves them no matter what, He accepts them when others do not and He offers forgiveness regardless of what they have done wrong. Told in the right way to our friends, gives them access to who Jesus is. Sharing our own stories that reveal that character of Jesus is also very important. In conversations with others we should look for opportunities to naturally share our experiences. Sharing in a way that is natural and non-confrontational can be a challenge. Tina Waldrom refers to this as sharing on the “backfoot”; the principle she refers to is “backfoot/frontfoot evangelism”. It is all about talking about God truths in non-confrontational ways in our conversations. Instead of being confrontational and telling people that Jesus is alive and to get their life together, it would be more beneficial to relax (lean backwards, on the backfoot) and say something like, “I know you probably don’t believe in God, but I decided to pray about getting a job and I got one. You may think it’s silly but I really think it was God. What about you, do you think that God could be real?” Our body language has a lot to do with our story telling, in this instance Tina encourages people to physically lean backward a little when sharing their story so that what they have to say is not physically pushed at the receiver by leaning forward or getting into the persons personal space. Think of the last time you had a conversation about God with someone who does not know Christ yet. How did you go? What stories could you use in the future to help reveal Christ to this person? 1. What Biblical stories, other than those mentioned are good ones to share with friends? 2. Choose a Biblical story and have a go at telling it in your group in your own words. 3. Describe a time where you used the non-confrontational, on the backfoot style of story telling with a friend. William J. Bausch, Storytelling : Imagination and Faith (Mystic, Conn.: Twenty-Third Publications, 1985), 115. Richard Peace, Holy Conversation : Talking About God in Everyday Life (Downers Grove Ill: IVP Connect, 2006), 51. 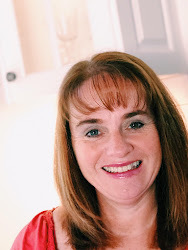 Tina Waldrom, Through the Door: Personal Evangelism without the Usual Disasters and Mishaps (Melbourne, Australia: Tina Waldrom / CityLife Church). 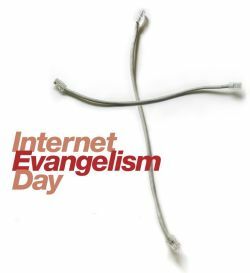 Today is a special blog on Internet Evangelism Day. Tony is doing an outstanding job with this, this is copy of a recent update from him. "With the worldwide Internet Evangelism Day on this coming Sunday (29 April), may I briefly update you on news. A focus spot is also a great way to honor any in your fellowship who are already involved in some form of digital ministry, and perhaps consider ways to use them in a team, or appoint someone as a 'digital advocate' to resource the rest of the church. The new version of Mobile Advance's video about the strategic opportunities for mobile phones in the Majority World will also be released on IE Day. Forwarding this email to your church or mission leadership team, college faculty, or anyone else who might be interested. 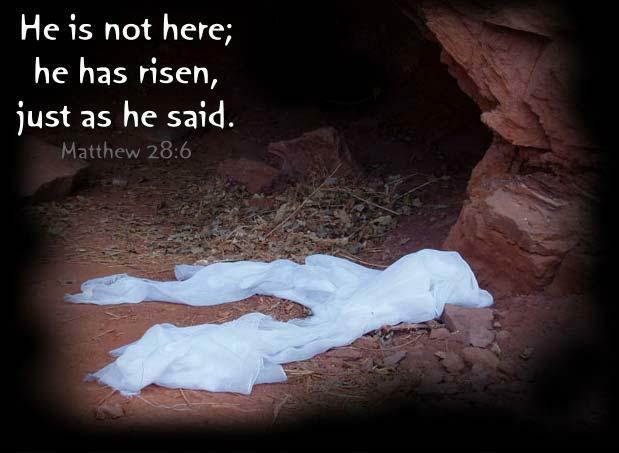 Happy Easter...It’s been 20 years for me since Easter has become a significant time in my life. Up until then the death and resurrection of Jesus meant nothing except holidays and Easter eggs. I never dreamt that this horrific death and resurrection was in fact God's way to forgive my stuff-ups and God's way of offering me the chance to be in right relationship with Him. Now, knowing God is more than I had ever thought it could be and doing life with a sense of purpose and meaning is truly what I had been looking for. I'm thankful for Jesus this Easter. What a fantastic time of the year to talk about CHRIST and the reason for this season. It is a great opportunity to raise a spiritual discussion with people. QUESTIONS like, "Why do you think people focus more on Santa than Christ? 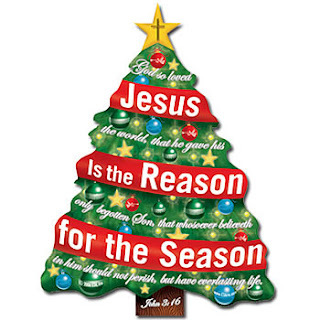 ", "Why do some people take all the songs about Christ out when Christ...mas is all about him? ", "What does Christmas mean to you? ", "Would you like to come to church this Christmas? ", "What do you think the birth of Christ was all about anyway? "How could I pray for you and your family this Christmas time?". These are all good questions that could help people articulate their understanding of Jesus and give you some handles of how you may help people discover more of Christ this season. Well, I do pray that you and your family have a fabulous time celebrating Jesus and enjoying the company of those you love. As I was saying in my last entry, I have recently taken a DMIN subject on Coaching. I've been working through the content in relation to evangelism. How can we coach those we lead that are doing evangelism and how can we use coaching so that others can discover Christ - good questions to ask ourselves. The following is a summary of another great book I read. Enjoy. Coaching for Performance is a wonderful text on the skill of coaching and how it can enhance the performance of individuals and teams. Coaching is broadly defined as the ability to help others learn rather than simply telling or teaching them. The coach or manager needs to be relational and not autocratic with those they are leading. Coaching involves the coach being tooled with the right questions, questions that allow the coachee the opportunity for awareness and responsibility in their given situation. The concept of awareness and responsibility being created carries strongly throughout the text and is vital even in the area of feedback. For people to realise their potential feedback must be experienced, however this feedback needs to materialise through good questioning that again allows the one being coached to become aware and responsible in the situation. 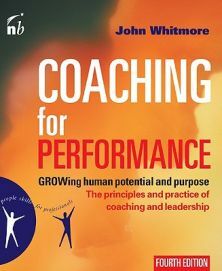 Whitmore in this insightful book on coaching employs the GROW model when coaching others. The text is full of wonderful stories of both business and sports performance being enhanced by the concept of coaching. For me the concept of awareness and responsibility was the big revelation in this text. I had become too familiar with the GROW model without the clear direction of creating awareness and responsibility in others. Keeping this concept in my mind will help me think of better questions to ask people as we journey through the GROW model in coaching sessions. A timely reminder of the importance that people will not reach their ultimate potential unless they come to their won personal awareness in any given situation and then act responsibly to move forward in the situation. I loved this book, simply yet very clarifying. Whitmore, John. Coaching for Performance. London: Nicholas Brealey Publishing, 2009. Reprint, Fourth Edition.